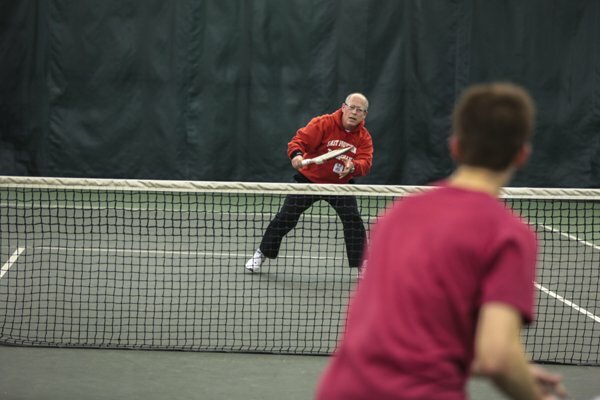 USTA Adult League Team tennis is a nationwide program which has local competitive leagues for the adult player. The categories of play are the following, grouped into skills specific teams: Men’s, Women’s, Mixed, and Senior Divisions. USTA Adult League Team Tennis is a competitive team tennis program, providing the opportunity for players to play against players of similar level from other clubs. Maine Pines offers leagues for all levels and ages. Teams winning at the local level can progress on to Districts (Northern New England), New England Championships, and National Championships. Local League Season varies depending on what choose to play. 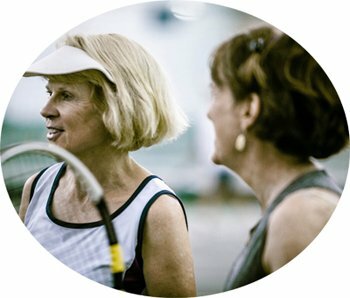 In the fall there is Mixed Doubles, Tri-Level, and 55+. Beginning in January we start ladies and men’s team play, and in the spring add mixed 40+ back in, as well as 65+. Many teams practice year round. This is a great program to network with other players of similar level within the club. Maine Pines is one of the few clubs that offers discounted instructional fees for team coaching! We have a long history of success with 8 teams reaching National Championships! All levels are welcome. Enjoy friends, food, and music!!! Click on the Tennis Calendar link for dates and times Social events will be listed on our Tennis Calendar as they are confirmed. Junior Tournaments are held at Maine Pines as well as throughout the state and New England. Age groups are boys and girls 10 & under, 12 & under, 14 & under, 16 & under, and 18 & under. The Maine Tennis Association sponsors many tournaments throughout the year. Maine Pines sponsors many Orange Ball tournaments during the year. These are for kids ages 10 and Under, and follow a round robin format. It is a great way for kids to participate in match play. Playing in Adult Tournaments is a great way to add to your competitive play. Maine Pines sponsors the Mal Clarke Tournament in October!